Car buyers do like to see better looking models every year and car makers work day and night to deliver what customers expect. Honda Civic, as well all know used to one of the best selling cars in the market but with the soaring petrol prices and introduction of better value-for-money cars, the interest of buyers has shown a significant drop. 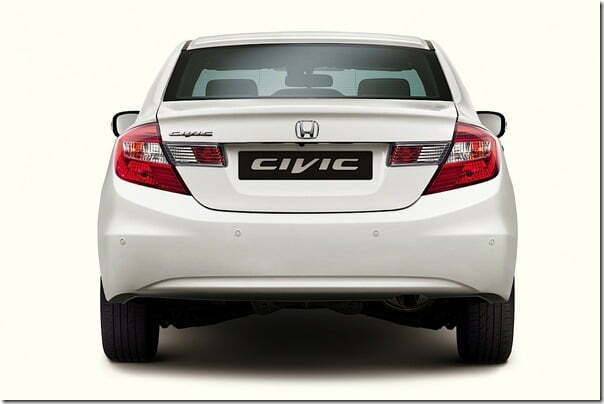 A few months back Honda unveiled the 2012 Civic and not just we, in fact the whole global automobile fraternity was disappointed with the looks of the car. The criticism was solely because of the styling and quality issues reported but in spite of all that, Honda managed to sell 135,000 units of Civic from January to May 2012. With such amazing numbers the car outsold all the C-segment cars in the U.S and has become the number one seller. Expected feature list includes Vehicle Stability Assist (VSA), Cruise Control, front and side SRS airbags, ISOFIX points at the rear, reverse parking camera, push button start, smart entry, power adjustable driver seat, NAVI system with 5 inch touchscreen etc. 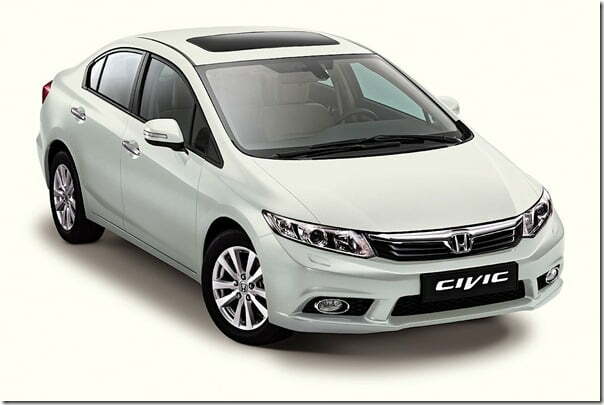 The 2012 Civic price will start from 117,500 Malaysian Ringgits, which when converted to INR falls close to Rs. 20-21 lakhs. As of yet we don’t think Honda will launch the same in India as it is currently focusing on diesel engines and as soon as the engines are ready, Honda will not hesitate introducing the new Civic. 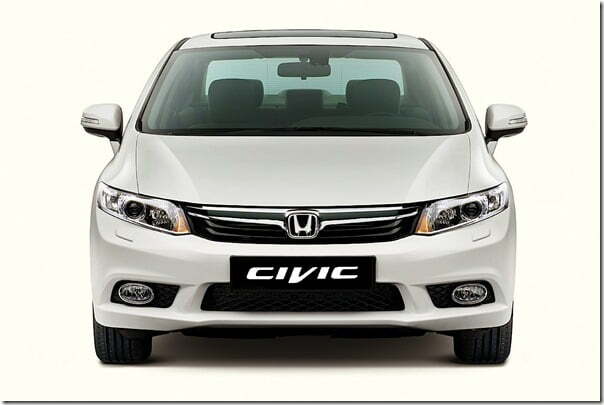 We will keep an eye on the developments of new Civic for India, so stay tuned for latest updates from Car Blog India.